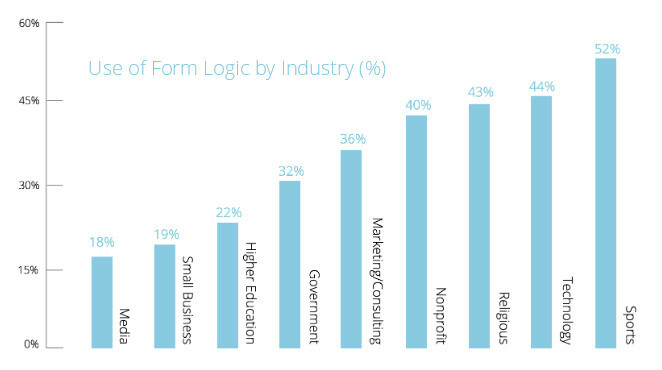 There’s a lot of talk about how the right form can boost conversion rates. You need X number of fields and don’t even think of asking for a phone number – this isn’t a date, people! Oh, and make sure that button doesn’t say “Submit” – I’d rather not submit to anything, thank you very much. Do conversion rates vary by industry? Does form logic (if the user does X, show them Y field) matter? Are there peak form submission times? What’s really wrong with labeling a button submit? As it turns out, you’re not the only one with these burning questions. 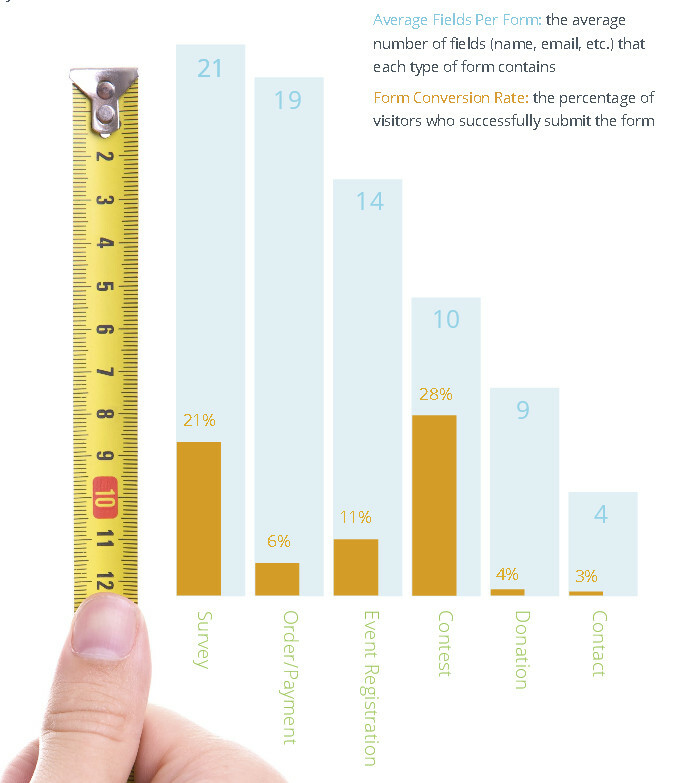 FormStack just released its 2014 Form Conversion report, chock-full of beautiful charts, findings and results from surveying over 400,000 form users. As we go through the highlights of the report, you’ll find some tidbits not so surprising—but others will completely change the way you look at form design and submission. Does Number of Form Fields Really Matter? You’ll find all kinds of conversion optimization advice stating that the less form fields you have, the higher your conversion rate—which is true, to a point. You see, the type of form matters just as much as the number of fields on it. According to FormStack’s research, only 6% of users will fill out an average of 19 (!) 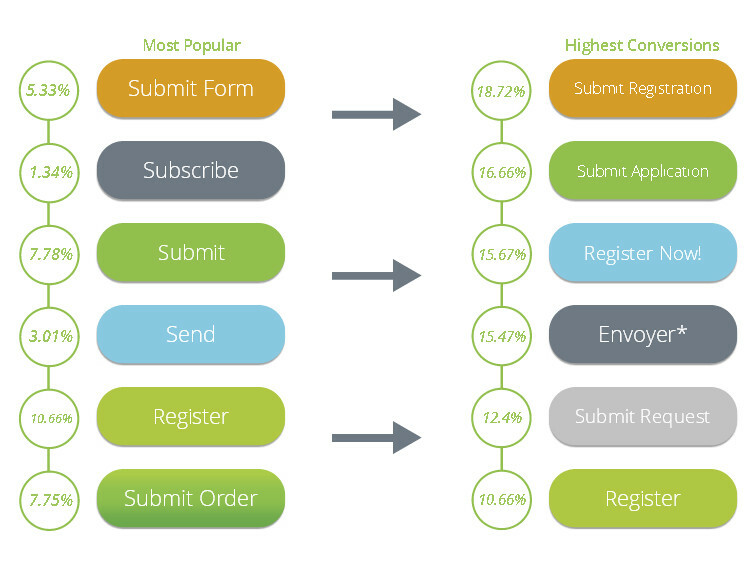 form fields on an order page, but people entering a contest will go nearly to the ends of the earth to submit, tolerating 10 form fields with a 28% submission rate. We’re pretty tolerant of surveys too, it turns out. But as a conversion optimization professional, you have to weigh the amount of information you want to request with the information your prospect is receiving from you. 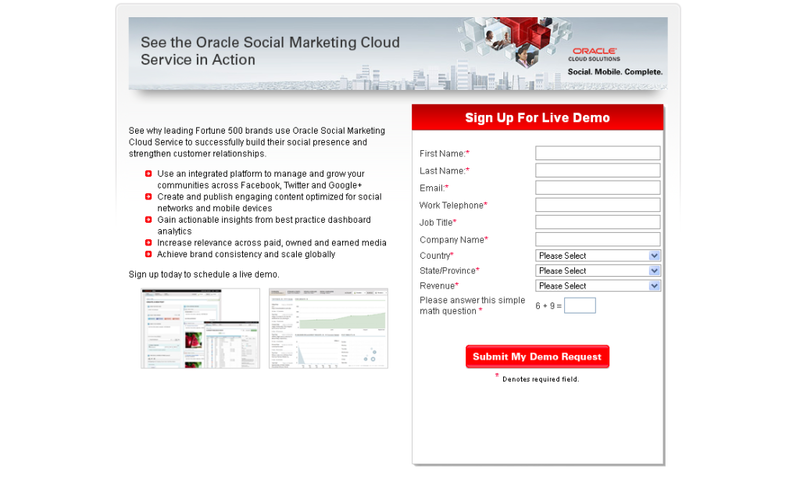 For example, if I wanted to try a demo of this Oracle product, just look at all the forms I’d have to fill in. It’s just a demo! Why do you need to know how much money I make? Fine, forget I asked. A question I’m often asked is “what’s a good conversion rate?” which, as you’ll see from the chart below, depends on your industry. Even then, as this chart suggests, some information can be conflicting. 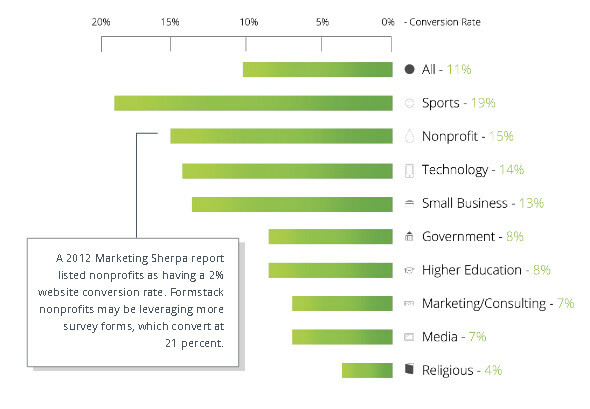 They cite a MarketingSherpa report that showed a low conversion rate for non-profits organizations, whereas FormStack’s own customers (using a service that is based around forms) had much better results. The end result is going to depend, not on who’s doing the asking, but who’s involved in the answering as well. Your mileage may vary. Read here to learn how one company increased lead form conversions 35%. Is there a Peak Form Submission Time? We’ve all heard about peak email sending times and peak social posting times… but what about form submissions? Is there a peak form submission time? As it turns out, people are submitting their surveys in the late morning, but their contact forms in the evening. 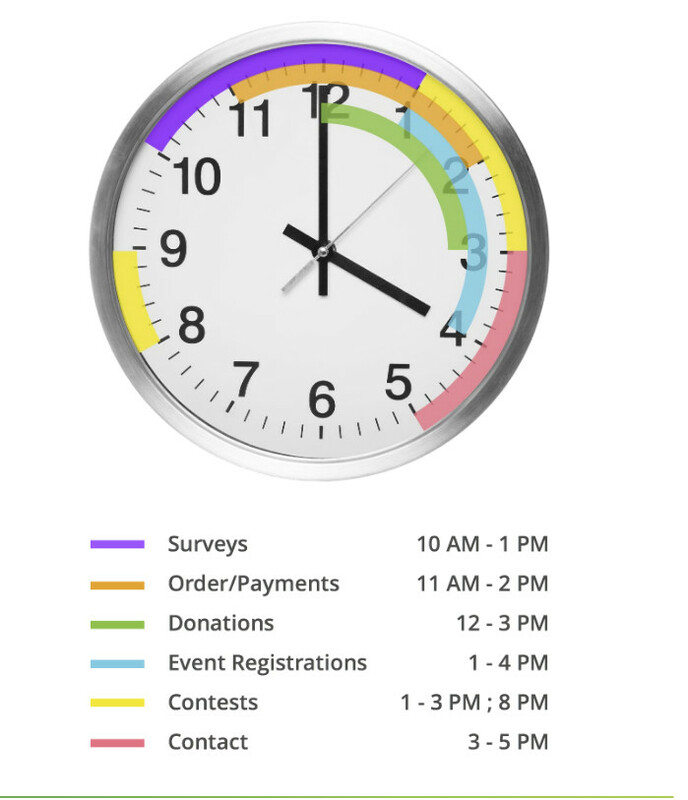 During and after lunch is the best time for donations and event registrations, and contests get the most submissions during the midday work slump and after dinner. So-called “smart forms” use a prospect’s actions to determine what fields come next, and when. For example, if you were in the market for a four-door sedan, your car pricing quote wouldn’t include two-door options, and vice versa. And now, in the “results that surprised no one” category – smart forms increase engagement and conversion rates because they keep forms relevant and on-target, asking and getting answers to only questions that are pertinent to the user’s request. What people like is not necessarily what they’ll click on—or at least that’s what the survey reveals. “Submit Form” got a lot of love, as did plain vanilla “Submit” and “Subscribe.” But is that really all you need to say? Survey Says: No, Being Clearer with Your Button Text Results in Two Times the Conversions! When you take bland old “Submit” and pair it with “Submit Application” or “Register” with “Register Now,” you get a whole lot more conversion love—up to two times more, according to these results. When you submit this form, you’ll be taken to a page where your payment will be processed securely online. You’ll also have one more chance to review your order before its final. This helps you avoid any disconnects between when the person submits the form, and what they see next. This article will tell you 6 variables you should test on your submit buttons. The FormStack Report includes many other parts that weren’t included here, including social engagement times, visitor responses based on country, and even proper use of confirmation emails. It’s definitely worth a read for any Web designer, developer or marketing pro who is looking to squeeze every last drop of “conversion juice” out of their forms. And, as always, we’d love to hear your thoughts! Have you found areas on your own forms that could be improved? Have you experienced results that differ from what’s shown here? Share your experiences in the comments!